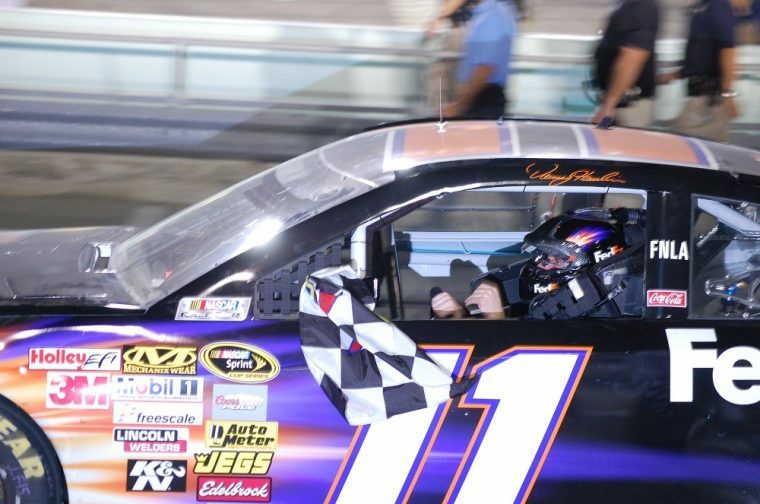 Before he got in his Toyota to win the NASCAR Sprint Cup race at Watkins Glen International, Denny Hamlin was receiving treatment for back spasms and wasn’t even sure he would participate. Nonetheless, despite enduring what he described as the worst pain he has ever felt in a race, he went on to take his first ever road course victory. He must have felt relieved, especially after he had come so close to doing it in June when Tony Stewart banged past him on the last lap to steal the win in Sonoma. Still, with all due credit to Hamlin, it’s hard to believe that Toyota wouldn’t have won the race even had another driver needed to get behind the wheel in his stead. So far, the Toyota-powered Joe Gibbs Racing and Furniture Row Racing teams have won 11 of 22 races this season and led 57% of all laps. They’ve even scored wins at the Daytona 500, Brickyard 400, and Coca-Cola 600, three of the crown jewels of NASCAR. At this point, it seems as though Hamlin, Kyle Busch, Matt Kenseth, Carl Edwards, and Martin Truex Jr. are competing among themselves for wins rather than with the other teams and manufacturers. It’s not all down to the speed of the cars. Toyota has been cultivating an open book philosophy that has contributed to a very positive atmosphere among the teams. Though JGR and FRR are technically two outfits, they almost operate as one, sharing equipment and access to valuable data. However, it must be said that any win this Sunday did not come easy. The race was as chaotic as can be, with several multicar incidents and eight cautions making for a wild competition. … Then again, that’s just typical Watkins Glen.